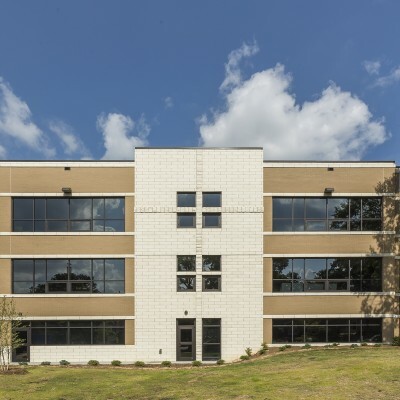 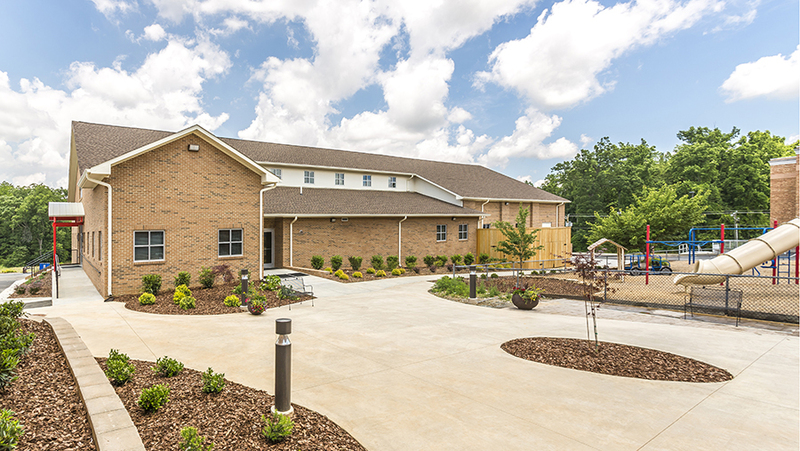 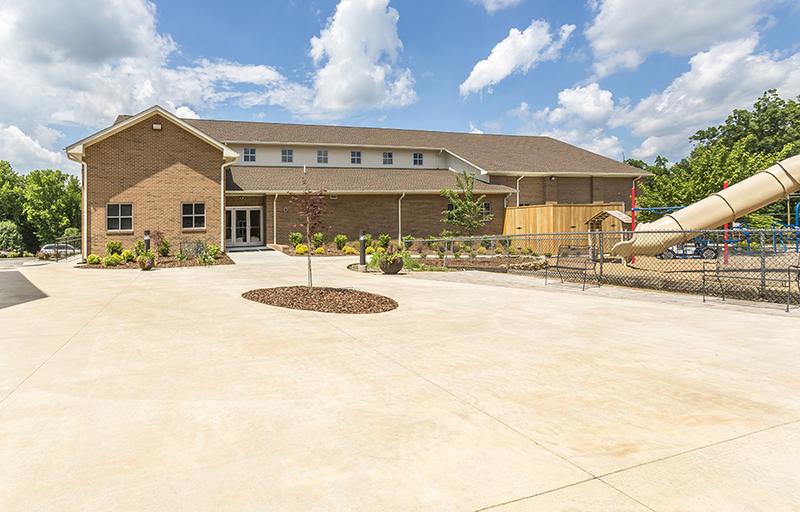 The new Youth Building at Pleasant Garden Baptist Church is a 10,436 SF standalone building that was constructed with a wood frame with brick veneer, shingle roof and storefront windows. 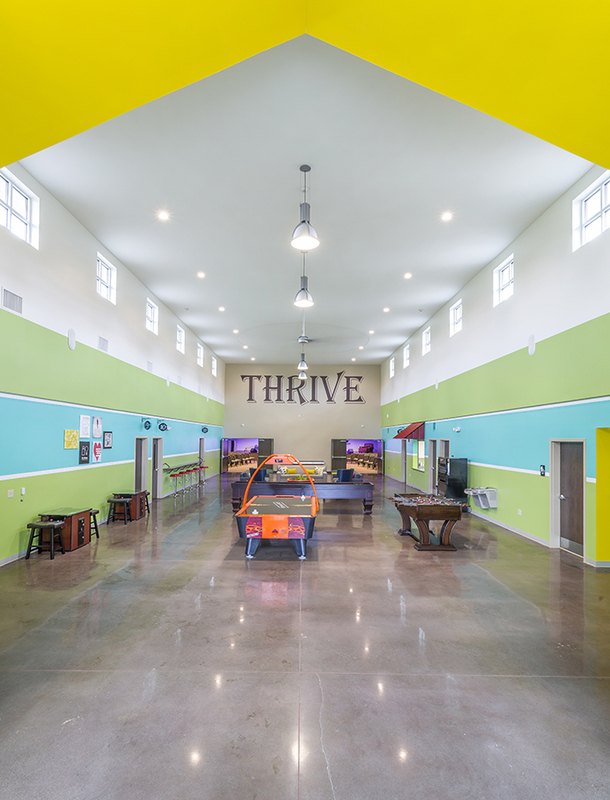 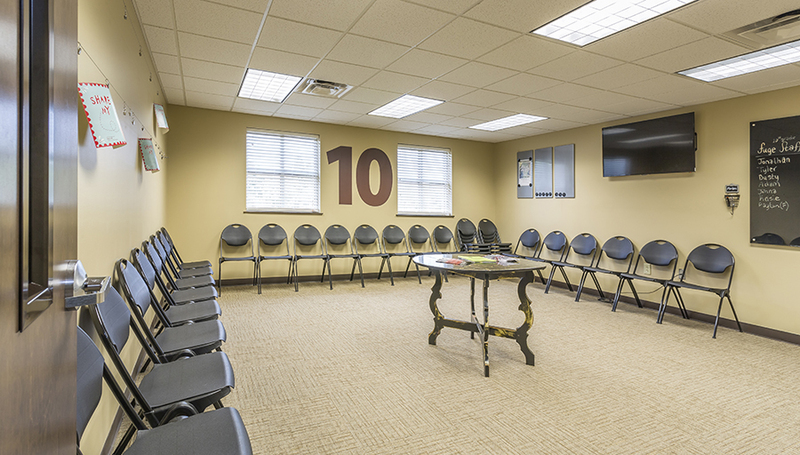 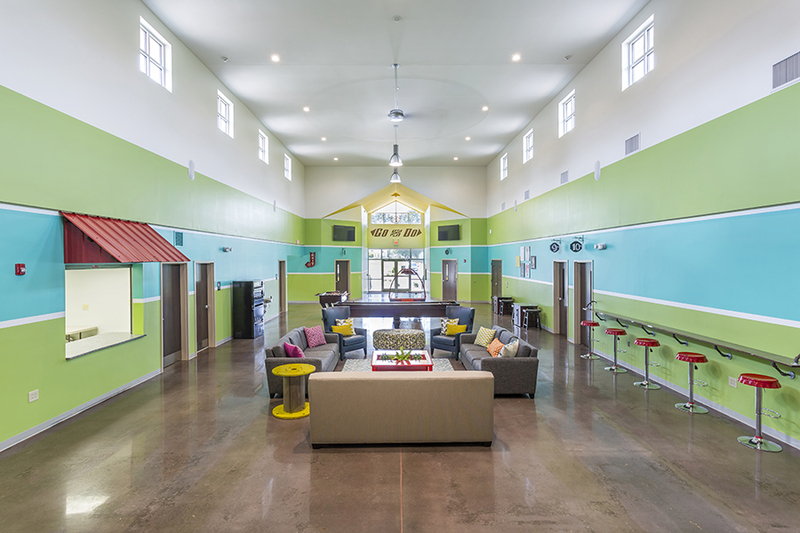 The Youth Building includes a full kitchen, multiple classrooms, a sanctuary with a stage, and a large open lounge area. 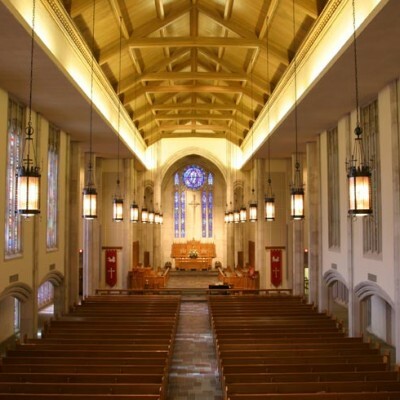 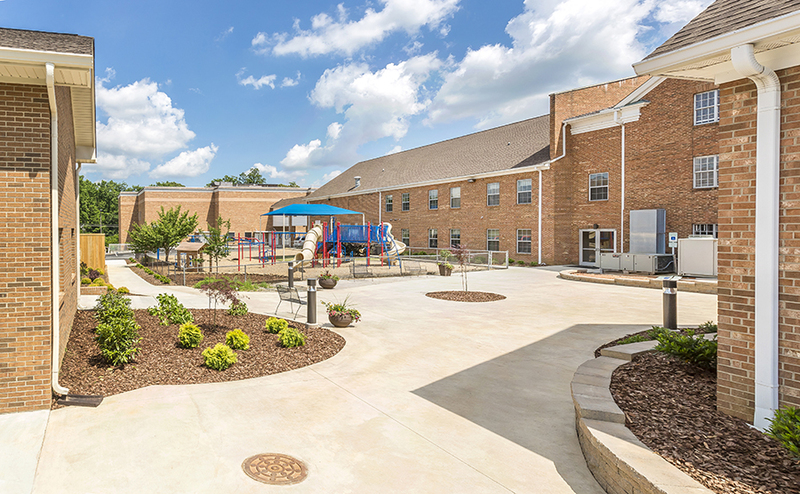 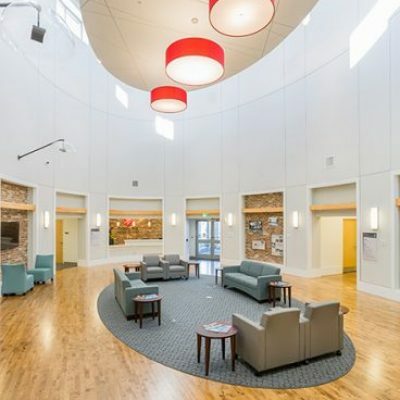 Also included in this project was a large courtyard area connecting to an existing playground and other buildings on the church campus.